A pair of Brown and Gray Wood Ducks lazily swim in a sparkling Turquoise river. 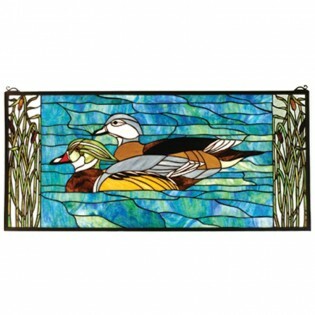 The Wood Duck Stained Glass Window is Edged with Marsh Green cattails, this picturesque scene is handcrafted of a beautiful selection of stained art glass..
A pair of Brown and Gray Wood Ducks lazily swim in a sparkling Turquoise river. 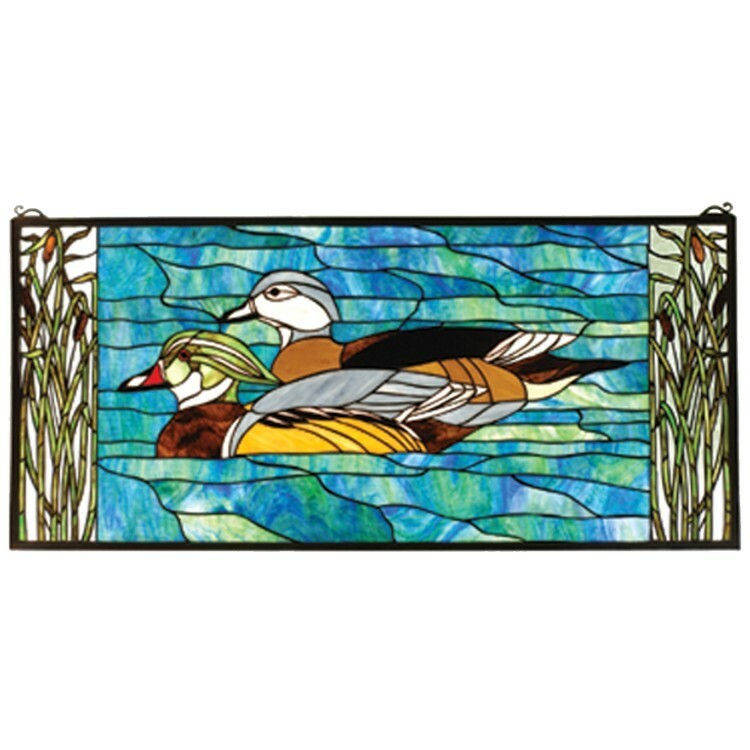 The Wood Duck Stained Glass Window is Edged with Marsh Green cattails, this picturesque scene is handcrafted of a beautiful selection of stained art glass.